G'Day mate! 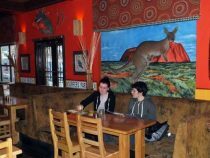 If you're looking for a fantastic Kilted Kangaroo meal, a cool beverage to wash it down and some great entertainment then there's only one place to be in Stirling, Come enjoy the Aussie Experience. 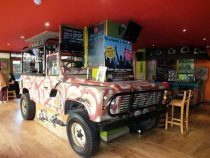 Meet the manager of the Kilted Kangaroowho tells us what set it apart from other pubs and bars in Stirling. (3mins 29 secs). 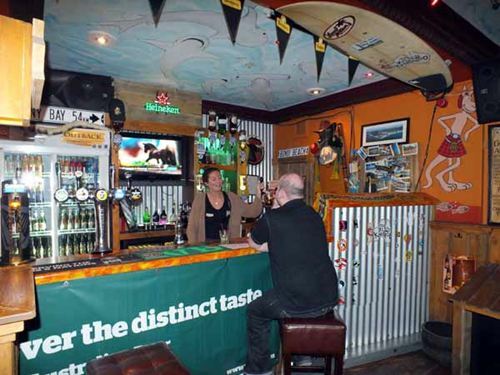 Located in the heart of the city, the Kilted Kangaroo in Stirling is just around the corner from the Thistle Shopping Centre, we are the first choice for a great night out. With delicious BBQ's, Live Music and the BIGGEST beer garden in the city...those sunny days have never been better. Give them a call and their friendly staff will be happy to help! 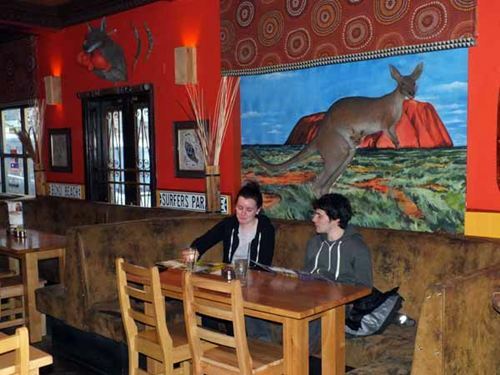 The Kilted Kangaroo in Stirling sources fresh local produce,affordable pub food, with dishes from around the world. 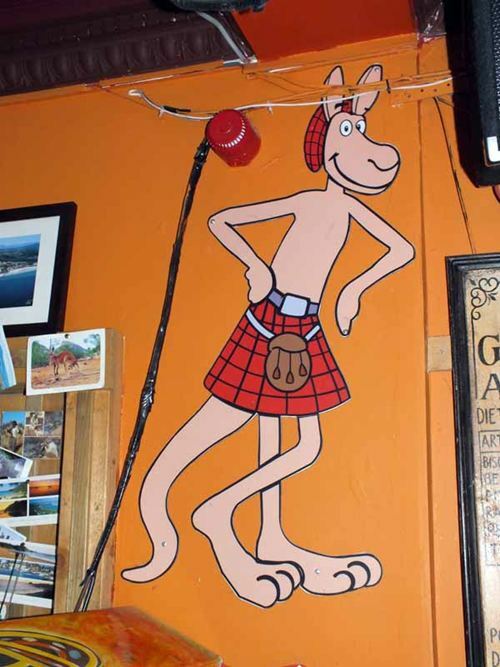 The Kilted Kangaroo caters for Vegetarians etc. 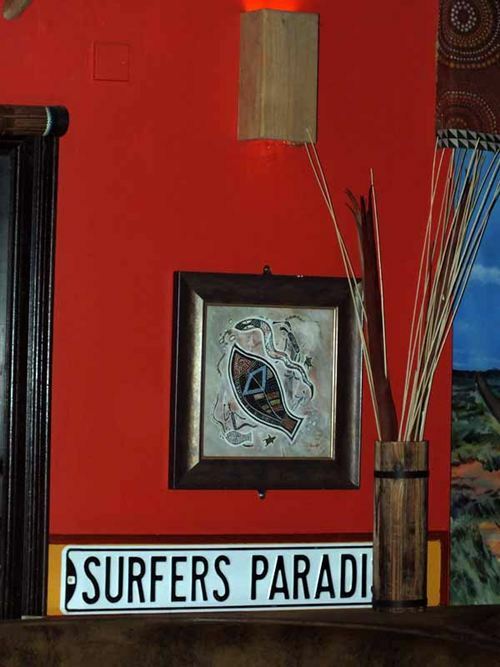 Special diets catered for and a great Children's menu. The Kilted Kangaroo in the centre of Stirling has a special connection with Stirling University, and sponsors many of their sports etc. Students welcome with 10% off food and drink with a valid NUS Card.